Reclaiming your money is really easy. Simply call us on 0871 360 2100 and let us know. 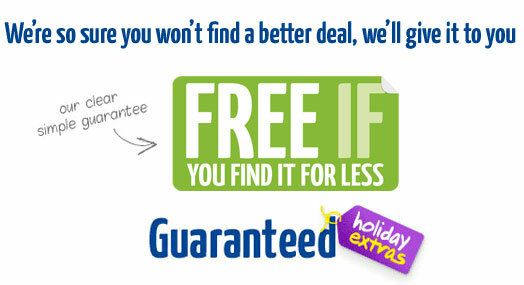 If you think you have found the same thing cheaper elsewhere, call us on 0871 360 2100. (BT landline calls cost up to 10p per minute. Calls from mobiles and other numbers may vary). Please ensure that the product (or package of products) you are comparing is identical in all respects and that it meets the terms set out below. Any variation means we can neither match the price, nor refund the cost. 1. The parking or lounge product, or package of products under comparison must be the same in every respect and at the same car park/lounge as that which you purchased from easyJet and must have an easyJet flight number and an easyjet booking reference. 2. Where multiple rooms are booked each room is regarded as a separate product. 3. You must make your claim within 24 hours of making and paying for your booking with easyJet. 4. Successful claims will not be paid until after the return date originally booked. 5. You must use the products or package as per the booking against which you are making your claim. 6. Cancellation of the booking cancels your right to claim under this guarantee. 7. Comparison prices must be listed and quoted in pounds sterling. Our suppliers' reservation and booking systems can vary in the way they round up or round down the VAT element of the total price payable. Because of this, our Free If Guarantee will not apply to price-differences of five pence or less where we have established that the VAT calculation is the sole reason for the difference. When calculating the Free If Guarantee we consider only the price of the product or package, not any additional fees or charges e.g. credit card surcharges or Cancellation Protection.